Possum (aged 4 years) absolutely loves Minnie Mouse. She has a mountain of dress up costumes but the Minnie Mouse costume gets the most use. To be honest, I don’t blame her. I adore everything about Disney and their many wonderful characters. For me, Disney Junior is a wonderful example of how beautiful and exciting storytelling can merge with important learning components. 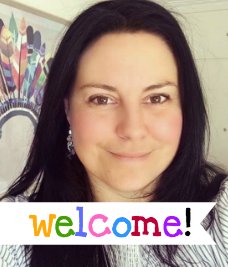 Children, without even realising it, are watching carefully crafted stories that help them developing their early language and math skills, as well as an understanding about health and social and emotional development. There is just so much to love about Disney and their many characters. Homemade wrapping paper is such a simple and fun activity for preschoolers. They always find it so rewarding when their special handmade wrapping paper is being used to cover a gift. And lets face it, many of us can appreciate hand painted wrapping paper, especially when it’s from a child. 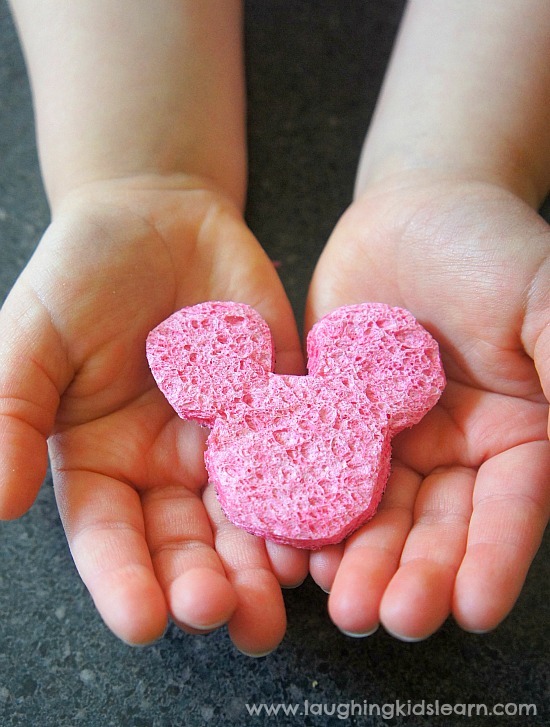 So to begin, draw a classic Micky Mouse outline on a clean household sponge. Once you’re happy with the shape then carefully cut it out. 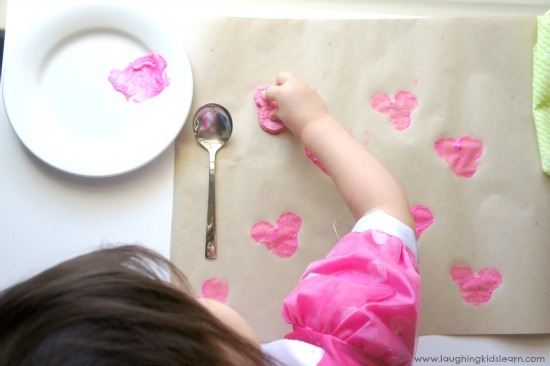 With a large piece of paper in front of your child, have them dip their sponge into some pink paint and begin stamping. There really doesn’t have to be any rules to where your child uses the stamp on the paper. It can be completely random. Possum had a great time using the sponge as a stamp. She did discover that she shouldn’t have too little or much paint on the sponge each time as both ways would change the shape of the sponge. We were learning from our experiences. This is certainly a simple craft activity that your child could do themselves. Possum and I absolutely loved making many different pieces of wrapping paper, which we will use to wrap all our Christmas presents and give to friends and family. 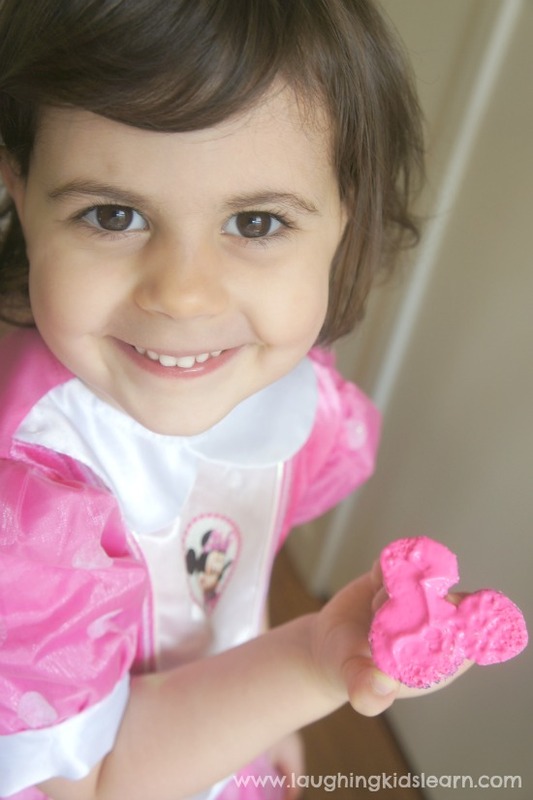 Who is your favourite Disney Junior character? 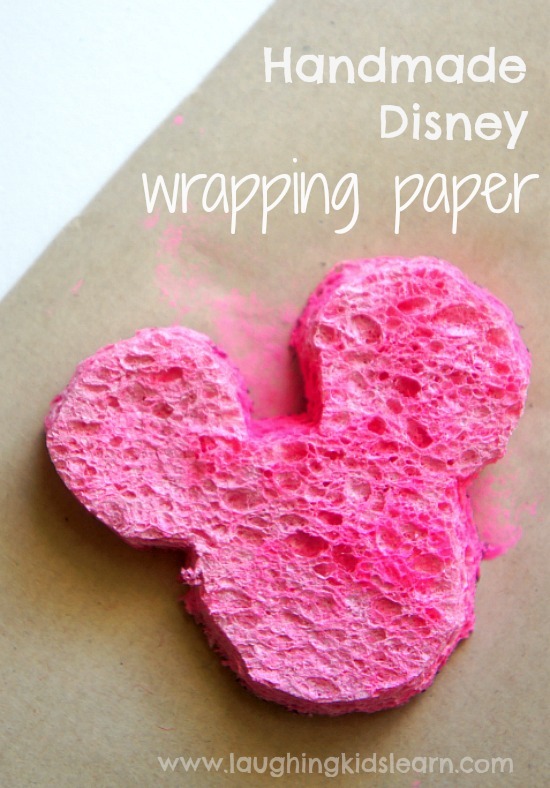 What a cute idea, love the DIY wrapping paper! My boys love Disney Junior. I have to admit I am looking forward to watching some of the more girly shows when my daughter gets old enough though 😉 haha!